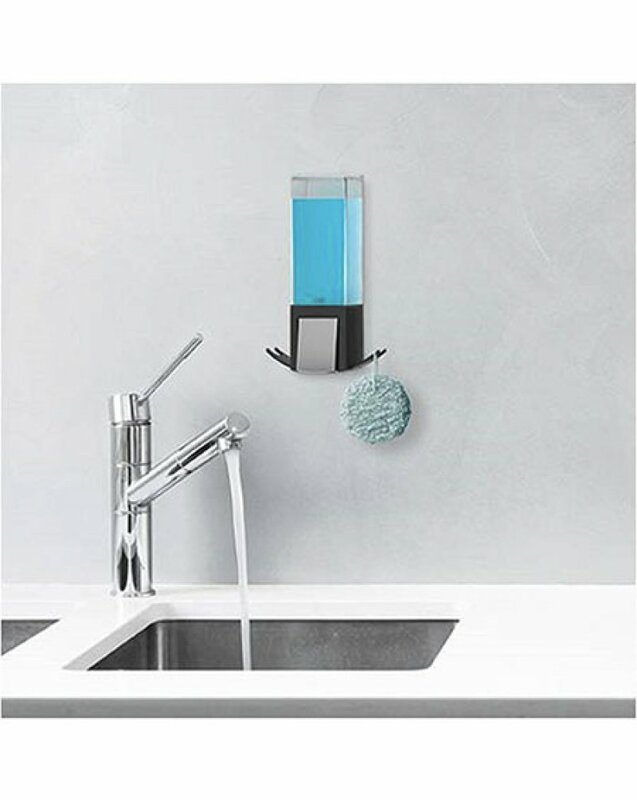 The CLEVER Soap Dispensers offer a fresh new look with modern flair. Easily and single-handedly, dispense shower liquids at the press of a lever. 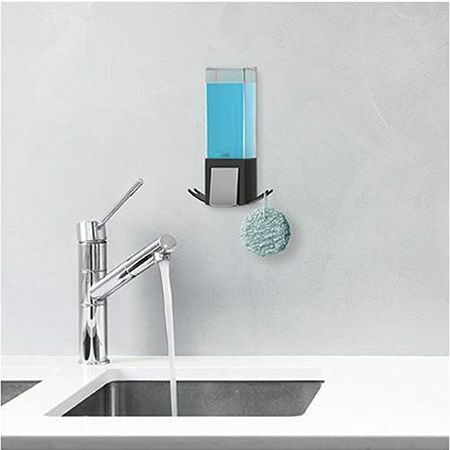 Neatly hang razors or shower loofahs from the accessory hooks. 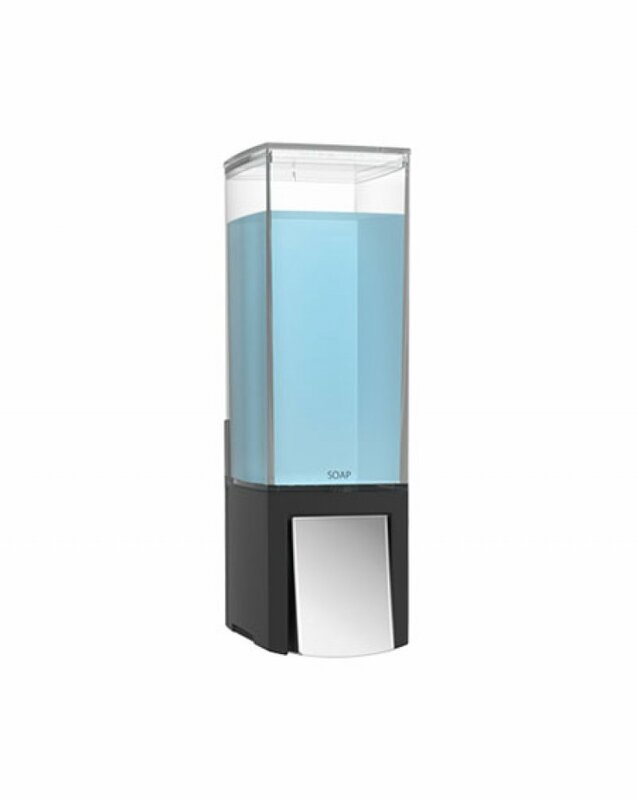 - Each liquid chamber holds 480ml. The Dispenser is guaranteed to be free of manufacturing defects for two years from the original date of purchase. The pumps are guaranteed for life. Better Living Products will replace the entire unit or any component deemed by the company to be defective in manufacture, at no charge, during the warranty period (shipping extra).